Marty does a great job placing the real issue where it needs to be–the heart of the voter! He uses the book of Proverbs as the back drop to his walk through the necessary qualities and characteristics for making wise choices in the voting booth. Marty weaves the need for us to examine our hearts with what to look for in leaders. By doing this, his book carries a beautiful two-edged sword, calling us back to holiness and then calling us to godly action. Throughout each chapter it was clear that he is teaching us that our vision and wisdom to elect leaders is directly linked with our own pursuit of God. The book is replete with stories from Marty’s experience, as well as very interesting historical examples of why our ‘One Vote’ is so important. This book will encourage anyone who longs to see America return to godliness and integrity as a nation. 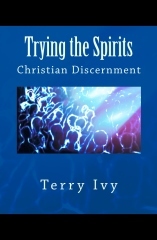 If every believer lived the principles which Marty expounds on throughout this book, our country would immediately see a moral turn around in the political and spiritual arena. Faith and politics can be a dangerous walk, as any step of imbalance can create great confusion. However, in this book, Marty walks us along the tight wire of balance with clarity and precision. Just click the book cover above and it will take you to the Kindle page to download it for your mobile device. I Want to be a Dog! Thanks brother. What a great review. I appreciate the plug. Pray that God might use the book to raise up a generation of leaders for the Kingdom. People can also purchase the book online at Crossbooks.com.